Does the At-Home Decaffeination Method Work? Can You Decaffeinate Tea at Home? All tea is made from the Camellia sinensis plant, whether black, green, oolong, or white teas. The tea leaves naturally contain caffeine, which means decaffeinated tea has gone through a process to remove the caffeine from the leaves. If you're trying to cut caffeine but still enjoy a cup of tea, you may be wondering if you can make your own decaf tea at home. For some time, there has been a DIY method claiming you can turn regular tea into decaf by "rinsing" it with hot water before brewing. Even a number of tea experts were teaching people that it is a viable option to naturally reduce the caffeine content in green, black, and white teas. This seemingly simple at-home decaffeination trick does have some appeal; however, this may be more of a myth than anything based on scientific reality. First, bring your water to a boil. Then, pour it over your tea leaves and steep for about [20, 30, 45] seconds. Pour off and discard the water and then brew the tea as you normally would. You have just removed [50, 75, 80, 90] percent of the caffeine, but kept most of the antioxidants and flavor. That's some pretty heavy chemistry to get to a nearly caffeine-free product while still retaining the tea’s flavor. So now it may seem highly unlikely that simply running under hot water would perform the same task. Hot water alone cannot stand up to this measure; it will leave some amount of caffeine and severely degrade the taste. Science has not only disproven the idea that you can make naturally decaffeinated tea with a hot water rinse but also, worse yet, studies have shown that this kind of preparation method removes many of the antioxidants. While some of the caffeine is removed from tea leaves during an infusion, the time the leaves are left in the boiling water is not long enough to make a significant difference in the caffeine level. According to a test conducted by Bruce Richardson, a well-known tea expert, and Dr. Bruce Branan, Professor of Chemistry at Asbury University, it takes 6 minutes to remove 80 percent of the caffeine in loose leaf teas. 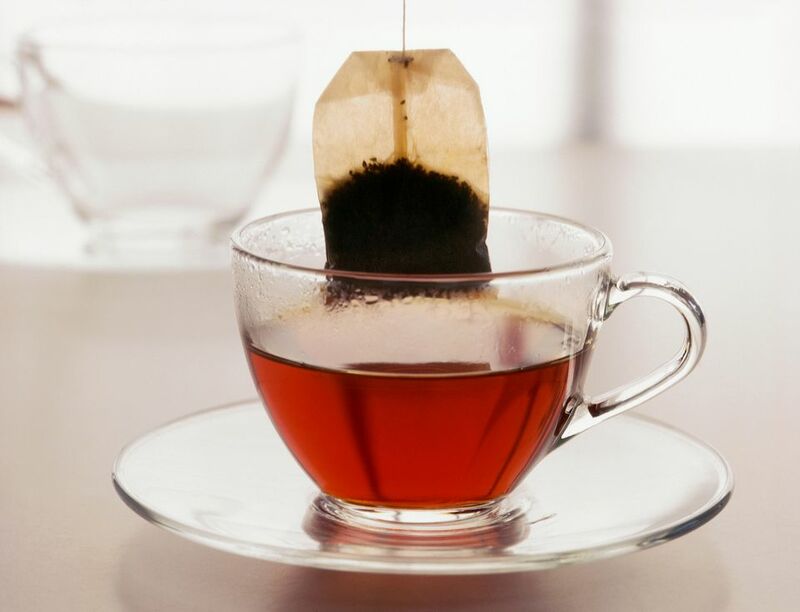 A 3-minute infusion reduced the caffeine to 70 percent, depending on the type of tea. Within that time, however, you are loosing all of the flavors and healthy components of tea. Skeptical? Try brewing a loose leaf tea a second time after a normal 5-minute brew and see how it tastes. Chances are that it will be very dull and disappointing, thin and watery, negating the joy of drinking tea in the first place. Even so, many people who were fooled by the myth of home decaffeination continue to rinse their tea, despite evidence to the contrary. With any of these methods, it's entirely possible to enjoy the experience of drinking tea without all the extra caffeine. It's far more reliable than trying to decaffeinate it yourself, which is important if you are counting on the health benefits of tea. You can try a naturally caffeine-free herbal tea (which doesn’t really contain tea) instead. Unless it is blended with tea leaves, these tisanes will not contain caffeine. Rooibos tea is another caffeine-free option that offers a complex flavor many tea lovers enjoy. If you are okay with a beverage that is almost caffeine-free, select a tea that is naturally low in caffeine, such as a white tea from Fujian or a "twig tea" like Hojicha or Kukicha. You can also opt for tea blends that contain caffeine-free herbs in lieu of some of the tea, such as Moroccan mint or masala chai. For a more straightforward approach, you can buy commercially decaffeinated teas. You will just want to pay attention to the labels so you are aware of how much caffeine you're drinking. Another alternative, which may be challenging if tea is your beverage of choice, is to consider drinking less tea overall—drink better quality tea and savor each sip.